The FDA has granted priority review status to Bayer's regorafenib as a treatment for refractory liver cancer, a new indication that could help stem declining sales of the drug. Regorafenib - sold as Stivarga for colorectal and gastrointestinal stromal (GIST) tumours - has been hit by competition with sales declining 16% in the first nine months of 2016 to €198m. The FDA is reviewing the drug for the second-line treatment of patients with a form of liver cancer known as unresectable hepatocellular carcinoma (HCC). The filing is based on the results of the RESORCE trial, which showed that regorafenib was able to improve overall survival in HCC patients whose disease was unsuitable for surgery and had progressed despite earlier treatment with Nexavar (sorafenib), Bayer's already-approved drug for liver cancer. HCC is a key component in Bayer's bid to inject some new life into the Stivarga franchise along with other new indications such as adjuvant treatment of colon cancer. Approval will position Stivarga as a back-up to Nexavar, which remains the only approved systemic treatment for this form of cancer in the US. Like Stivarga, Nexavar is also being hit by competition with sales slipping back 2% to €646m in the first three quarters of 2016, and having both first- and second-line options could be a boost for the entire franchise. That's important as Stivarga is one of a clutch of new products Bayer expects to deliver up to €10bn in peak sales. "Liver cancer is one of the leading cancer-related causes of death world-wide and more than 30,000 cases of liver cancer are diagnosed in the US each year," said Dr Joerg Moeller, Bayer's head of development. "The priority review for regorafenib in the US is great news for patients as it supports our efforts to make this treatment available as early as possible in the second-line setting for HCC," he added. 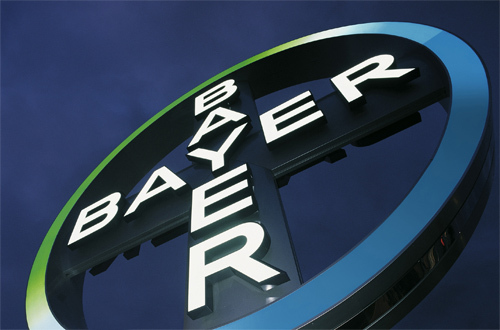 Regorafenib has also been submitted to regulatory authorities in Japan and the EU for the treatment of second-line HCC and submissions in additional countries are "in progress", according to Bayer.